Brand Q stands for Quality, Comfort & Value. Brand Q bow ties combine the latest fashion trends with high quality craftsmanship and beautiful materials -- ensuring high appeal and they are "soft to the touch". These exquisite patterns are sure to satisfy even the most discriminating tastes. 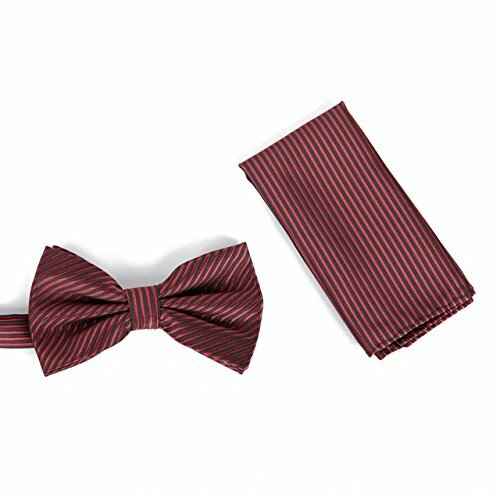 These bow ties work well for many occasions: with a tuxedo for formal events, or with a sports jacket (or just a shirt) for more casual dress-up" occasions like going "out" for dinner or to a party. Explore the many color combinations of these beautiful bow ties; with so many styles and colors to choose from, be sure to pick out at least two or three to round out your wardrobe. If you have any questions about this product by Brand Q, contact us by completing and submitting the form below. If you are looking for a specif part number, please include it with your message.